And if Friday’s semi-finals were anything to go by, Saturday’s 6pm title match at Tuks Astro in Pretoria is set to be a classic. 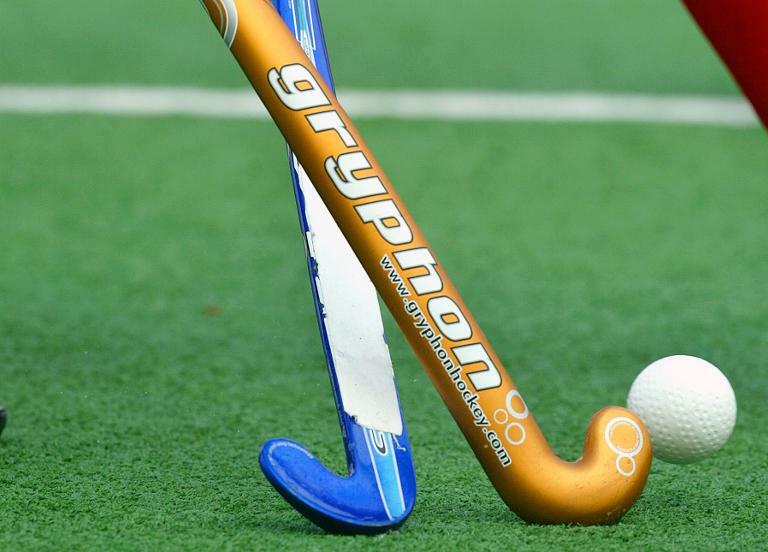 Late Friday afternoon, WP scored the lone goal of the first semi-final against a brave South Africa U21 with 2,9 seconds left in regulation time (60 minutes). It was a superb penalty corner (PC) variation principally executed by Dave Agar at the top of the strike zone, allowing Dan Bell a split second more time and space to pick his spot low into the backboard. The second semi-final saw Southern Gauteng shade host province Northern (Gauteng) Blues in yet another nerve-wracking finish. After the score was 2-2 in regulation time and 4-4 in the penalty shootout it went to two rounds of sudden-death which Southerns won 2-1 for an ultimate 8-7 victory. Blues took advantage in a dominant first quarter when Grant Glutz scored from a PC in the eighth minute. Blues might have been 2-0 up had Richard Pautz’s superb tip-in from Tim Guise-Brown’s pass not been disallowed for breaking early. Three minutes into the second half (33rd minute) vice-captain Andrew Buckley put Blues 2-0 up but midway through this third quarter (38th minute) Southerns’ PC ace Gareth Heyns pulled one back with a trademark strike. Heyns came close hardly a minute later from another PC but Blues survived the threat. Southerns were not to be denied and on the cusp of the third quarter’s close (45th minute), a neat PC one-two saw Heyns finish off (2-2). Into the fourth and final quarter, there was much drama in the 64th minute – just six minutes from the end – when Blues were initially awarded a controversial penalty stroke, but after consultation between the umpires the decision was downgraded to a PC and Pautz’s deflection off Guise-Brown’s pass flew over the crossbar. In the earlier matches, the first round of playoffs for ninth to 12th positions was a goal fest. First up, Free State accounted for KZN Mynahs 7-0 after the Bloemfontein boys led 5-0 at half-time. Coach Warren Sangster’s team found the back of the net through the outstanding striker Kurt Hensberg (4), captain Brett Walraven, Mark Walraven, Dylan Swanepoel and Egon van der Merwe. The second clash in the ninth to 12th place race saw two strikers in top form, KZN Inland’s Damian Kimfley and captain Gavin Jelley netting hat-tricks as the Pietermaritzburg-based side beat North West 7-3. Vice-captain Satchi Reddy got Inland’s remaining goal. North West scored through Gareth Markus and Ruan de Jong (2). The playoffs in the middle four of this 12-team A Section event were far closer affairs. First up, Eastern Province beat Western Province Peninsula 4-2 after the Port Elizabeth lads had led 2-1 at the changeover. Michael Abrahams (2), Cerezo Comerasammy and Jason MacLachlan scored for EP while Matt Anderson and Jordan Turnbull registered on the scoreboard for WP Peninsula. The other match in this first round of playoffs for positions five to eight, between KZN Raiders and South Gauteng Wits, was a cliff-hanger. In the final analysis, Raiders emerged triumphant by a 3-2 score in the penalty shootout, Keagan Robertson getting the winner, this after the teams were deadlocked 1-1 in regulation time. Wit’s 1-0 half-time lead came in the 22nd minute courtesy of a brilliant display of stickwork in close confines by striker Dean Symons, while Raiders’ equaliser was scored by Dan Sibbald with a stunning goal-shot. The second-tier B Section is delicately poised with Northerns B in pole position. A Section Free State 7 KZN Mynahs 0; KZN Inland 7 North West 3; EP 4 WP Peninsula 2; KZN Raiders 1 SG Wits 1 (Raiders win penalty shootout 3-2). Semi-Final 1: WP 1 SA U21 0. Semi-Final 2: Southern Gauteng 2 Northern Blues 2 (Southerns win sudden-death penalty shootout 2-1 after first round locked 4-4). B Section: Namibia 6 Eastern Gauteng 2; Northerns B 2 Northern Cape 1. A Section (11th/12th) 08h30 (at St Albans) KZN Mynahs vs North West. At Tuks Astro: (9th/10) 08h30 KZN Inland vs Free State; (7th/8th) 10h30 WP Pens vs SG Wits; (5th/6th) 12h30 KZN Raiders vs EP; (3rd/4th) 14h30 SA U21 vs Northern Blues; (Final) 16h30 WP vs Southern Gauteng. B Section round-robin fixtures (at St Albans): 10h30 SA Country Districts vs Northern Cape; 12h15 Eastern Gauteng vs Northerns B. B Section log (goal difference, points): 1 Northerns B 5GD 7pts; 2 Namibia 2GD 7pts; 3 SACD -1GD 6pts; 4 Eastern Gauteng -2GD 3pts; 4 Northern Cape -4GD 0pts.